Materials specialist and peelable heat shrink tubing (PHST) technology developer, Junkosha, has launched its 2.5:1 FEP PHST solution at this year’s MD&M West. Junkosha's new 2.5:1 PHST solution has been designed to provide catheter manufacturers with the highest shrink ratio currently possible in Peelable FEP thanks to its proprietary design techniques, enabling customers to save time and money through a reduced number of shrink processes. In addition, thanks to PHST's “take-up”, it allows the use of cost-effective, lower tolerance, baseline materials in the manufacturing process, and enables the ability to reflow these easily into a single smooth construct. All this results in a reduced total cost of ownership for the catheter manufacturer, which in turn increases the margin available. Joe Rowan, president and CEO of USA and Europe for Junkosha, said: “We have a deep heritage in materials science and fluoropolymers, which means our solutions are at the leading edge of what is possible. With the launch of our unique 2.5:1 PHST, we are leading the charge for catheter manufacturers to achieve increased margins through a rationalisation of processes and the manipulation of the baseline materials thanks to PHST’s ability to reflow these quickly and efficiently. Saving time and money throughout the workflow, this provides a reinvestment opportunity for catheter manufacturers at a time when total cost of ownership is a key metric for the wider medical device sector. Recent developments can enable catheter manufacturers to go beyond what has previously been possible by streamlining their workflows and processes resulting in cost savings and increased margins. Robert LaDuca, CEO of Duke Empirical, an innovative added: “This new launch from Junkosha not only provides time savings, but also cost benefits to medical product manufacturers that perform reflow lamination processes which are common in many reinforced catheters. Overall, this new PHST 2.5:1 solution has the highest shrink ratio currently available in FEP, meaning a reduction in reflow operations down from multiple to one is now possible. 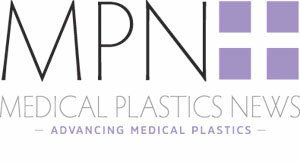 MD&M West continues until 7 February at Anaheim Convention Center, California.